Lots of exciting vegan things are going on in my world so I wanted to share some things that I thought you’d enjoy as well. 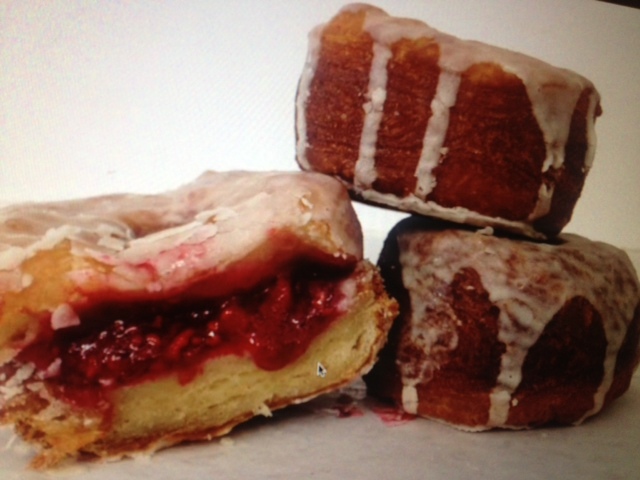 Blossom Du Jour has been doing their version of the cronut for about a year, but now they’ve taken this pastry to a new delicious level adding a raspberry filled cronut to the mix. It’s called the Halo because of it’s round shape and it is heavenly. Even better the pastries are soon going to be offered at all Blossom Du Jour locations in New York City. More exciting? Owner Pamela Elizabeth is about to open a 4th location on the Upper West Side (on Broadway between 81st-82nd). This is just a couple minute walk from where I live, so as you can imagine I’m pretty excited. Also a short walk from my home? The 16 Handles on the Upper West Side. The national frozen yogurt chain has just unveiled a vegan vanilla flavor and it is spectacular. Little know fact is that 16 Handles always has two vegan flavors among their “handles.” Most of their vegan flavors are fruit sorbets, but this new vegan vanilla enters new territory because it’s a creamy non-dairy twist on the wildly popular vanilla flavor. They also have lots of vegan toppings to go along with the fro yo. Everything is clearly marked so you know what’s vegan and what’s not. 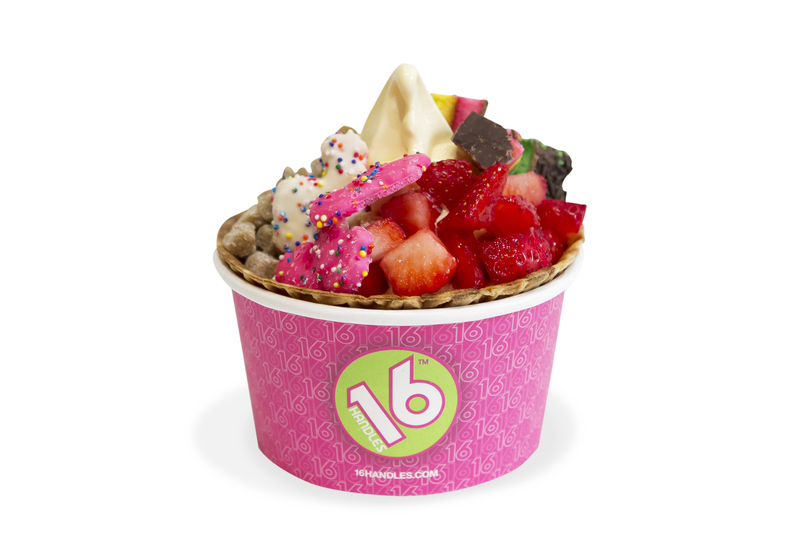 A bonus if you keep Kosher too because 16 Handles locations are Kosher certified. I’m also having a great time working with Natural Epicurean Academy of Culinary Arts. I especially love when I get to share their expertise with a national audience. In the past week alone I’ve had them featured on FoxNews.com, OneGreenPlanet.org and even the very popular beauty site Derm Store. We chatted with them about whether macrobiotics help the skin as well as the body!